Now for the Good and Bad. If you want to go somewhere and part with the younger crowd, drink, Watch scantily clad women, and eat until you pop, this is the festival for you. If you are going to Fort Walton Beach to fish or catch some rays, pick another weekend. The hotels are all full and somewhat overprices. The traffic is horrendous starting with the Parade Thursday night and not ceasing until very early Tuesday Morning. 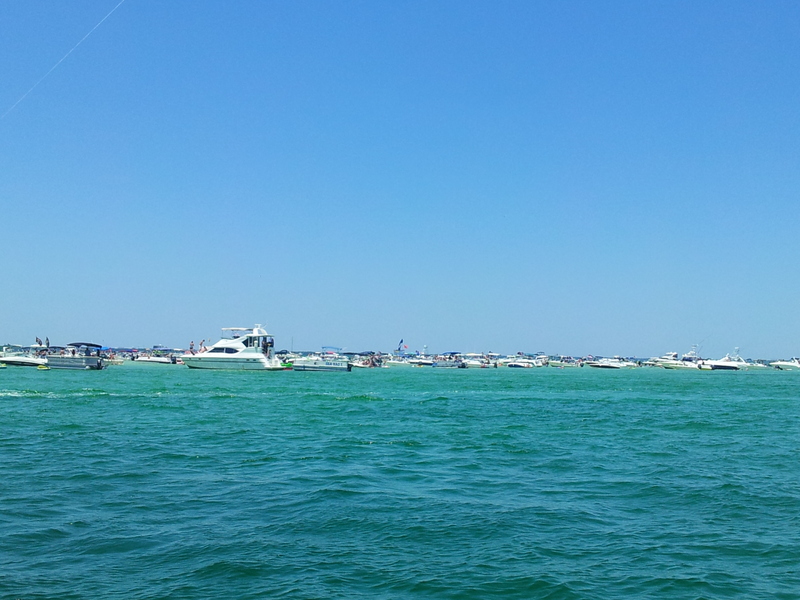 Crab Island is over run with boats, some of which are driven by inexperienced and inebriated captains. There were well over 300 boats parked there each day making it quite difficult to navigate to the fishing grounds. There are police and Coast Guard everywhere, usually chasing some boat or car that is trying to evade capture. It is a frigging madhouse. Tasteliketravel.com recommends staying clear if you are over 32. If you are younger than that…..Argggghhhhhhh Matey have a good time but budget in some bail money just in case! !